42.4% of respondents to a poll from Market and Media Research (MMR) say they are against The Muslim Society building a mosque in Iceland. According to the poll, respondents were asked how supportive or against different houses of worship they were. 42.4% said they were against a mosque in Iceland, while 29.7% said they were in favour. Where other religions are concerned, results varied. 33.1% said they were against a Russian Orthodox Church being raised in Iceland (there already is one) while 33% supported the idea. 36.5% said they supported a Buddhist temple in Iceland while 23.5% were against it. Where the Ásatrú Society is concerned, 49.2% said they supported a temple for them being built in Iceland, while 11.1% opposed it. The big winner from the poll was the national church, with 64.4% saying the church should be able to build more churches. 9.5% were against the idea. Progressive city councilperson Sveinbjörg Birna Sveinbjörnsdóttir says she will not fight against a mosque in Reykjavík, and that Islamophobes who voted for her “bet on the wrong horse”. “I find this really distressing,” Sveinbjörg told Rás 2 listeners yesterday morning, DV reports. “[The Progressives] were not trying to buy votes. [Opposition to a mosque] was not a campaign issue of the Progressive Party in Reykjavík, nor the Progressive Party as a whole. This is not in the Progressive Party platform. This was just something I said in half-carelessness. I’m not excusing myself, I’m just explaining how it was,” adding that she was only meaning to question whether Reykjavík had the authority to give religious groups free plots of land. “I have received emails from people asking how they can register to the Association. I was a bit surprised but very pleased by these enquiries,” says Salman Tamimi, the leader of the Muslim Association of Iceland, asked whether he had noticed an increase in the number of new registrations in the wake of the Reykjavík mosque debate. Gunnar Smári Egilsson, the former editor of Fréttablaðið, made headlines over the weekend with his Facebook post saying that one does not need to actually become a Muslim in order to register with the Muslim Association of Iceland. He says he is therefore carefully considering joining the Association as an act of protest. A fee is given on behalf of every taxpayer in Iceland from the national treasury to his/her registered religious association each year – while the money for those with no registered religion instead goes to the parliamentary budgetary committee. Gunnar Smári is not currently registered to any religious association. 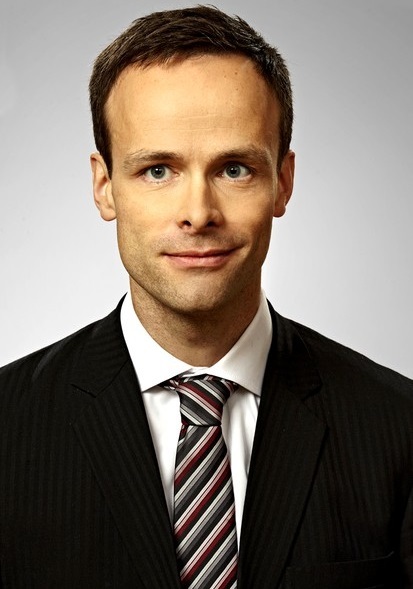 He claims that the Progressive Party’s Vigdís Hauksdóttir is the architect of her party’s xenophobic lurch – and she is also chairman of the budgetary committee. “I doubt Vigdís will notice my ISK 9,000 a year, but I am still thinking of registering with the Muslim Association of Iceland so that its members can use these few thousand krónur to protect themselves from the attacks and lies of the Progressive Party and their supporters,” he writes. Last night, the Progressive Party won two seats in the municipal elections, having won no seats on city council in the previous elections in 2010. As late in the campaign as May 23, polls showed the party still not holding enough to support to win a seat. But later that same day, Progressive mayoral candidate Sveinbjörg Birna Sveinbjörsdóttir announced she would reverse a decision made last year by Reykjavík City Council to grant a plot of land for the building of a mosque. Within days, the party gained enough to support to win at least one seat on city council. DV reports that Sveinbjörg shared material on her Facebook about Muslims, allowing Islamophobic material posted on her page to stand. The aforementioned examples were posted by Skúli Skúlason, the founder of the Facebook group “We protest against a mosque in Iceland”, which has over 4,000 followers. Skúli has accused Muslims of committing atrocities in Europe, and has called Anders Breivík’s videos “a work of genius”. He has also repeatedly expressed his support for Sveinbjörg. 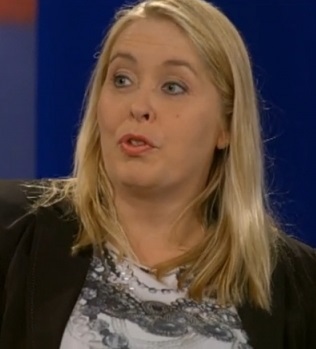 The night before elections, Sveinbjörg told Stöð 2 viewers she was worried that an influx of Muslims in Iceland could lead to forced marriages becoming a problem in this country, and said she wanted to “open a discussion on freedom of religion” in Iceland. Salman Tamimi, founder of the Muslim Association of Iceland, and his lawyer, Helga Vala Helgadóttir, say it is important to make a stand against the hate speech which has recently been flaring up on the internet. An article published on visir.is on Sunday with the heading ‘Could start to build mosque after the weekend’ sparked a lot of discussion. Some of the comments on the website were particularly harsh and were directed towards Salman and Ibrahim Sverrir Agnarsson, chair of the association. Salman is bringing charges against those who made the comments on Vísir. Head of the Muslim Association of Iceland, Ibrahim Sverrir Agnarsson, says the final preparations are being made for the design of a mosque, scheduled to be built on a plot of land on Sogamýri, Reykjavík. “We could in reality break ground – symbolically – after the weekend,” he told visir.is yesterday. The final design will be decided upon in cooperation with the Association of Icelandic Architects. 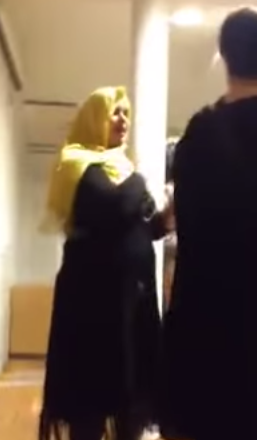 The mosque has been under discussion in recent days, ever since the leader of the Progressive Party in Reykjavík, Sveinbjörg Birna Sveinbjörnsdóttir, said she wanted to withdraw the allocation of the plot of land to the Muslim Association of Iceland and that the issue should be voted on in a public referendum. In the wake of recent remarks made by the Progressive mayoral candidate that she would revoke a plot of land Reykjavík granted for the building of a mosque, the party now has enough support to possibly win a seat on city council. According to a poll conducted from May 26 to 28 by Market and Media Research, Progressive Party support rose from 5.3% to 6.8% in the past week, finally giving them enough support to win a seat on city council. This is at the cost of the Independence Party, who lost a projected seat over the course of the last week. Progressive Party support rose in the wake of remarks made by Progressive mayoral candidate Sveinbjörg Birna Sveinbjörnsdóttir that she would revoke a decision made by Reykajvík city council in January 2013 to grant a plot of land for the building of a mosque to Reykjavík’s Muslim population.